We'll send one of our experienced local agents to your property to carry out a detailed in-person valuation. Choose a date and time online now. Parkers work with the UK’s largest property portals as well as proven local media partners to give your property the best possible exposure. So you’ll get the best result in a timeframe that suits you. We'll send an experienced local agent to your property to carry out an accurate valuation. Choose a date and time online now. Established in 1948, Parkers is one of the most-respected agents in the South of England with offices throughout Berkshire, Hampshire, Gloucestershire, Oxfordshire and Wiltshire. For almost 70 years, Parkers have been known as the agents who deliver the highest levels of customer service to the communities we serve. We pride ourselves on being a market leader in both sales and lettings, with a team of experienced and highly motivated professionals who are recognised as being the best in the business. Parkers are proud of their long-established links with other independently operated Estate Agents across the country. These links now total over 300 branches dedicated to providing the highest levels of service at both a local and national level. 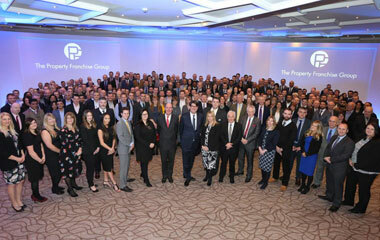 In addition, Parkers are part of one of the most extensive estate agency networks in the country. Making cross-office referrals to other interested house buyers is all part of the service. Very friendly and professional service right from initial viewing through to completion. Parkers will keep you regularly updated with developments as they happen through the buying/selling process. They are easily contactable and always ready to help with any concerns. Would definitely recommend to anyone thinking of selling. As a Landlord I need an agent I can trust, who will select good quality tenants then monitor them and rental income for me. Parkers do and this and more, leaving us to concentrate on our main business. I would happily recommend them to others and have done so several times. Parkers have been an absolute dream to work with. They made the process of buying a house really smooth and stress free from their end. They have been very responsive and communicative, kept us informed and up to date throughout. We have felt really supported during the whole process and it was a pleasure to work with them! Book a Local Agent Valuation at Your Home!